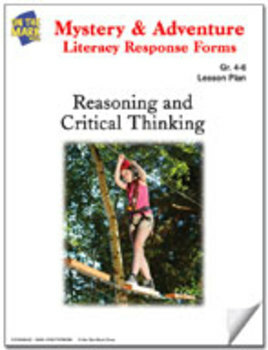 These exercises require students to evaluate and modify the text using their own ideas, experiences, and imagination. Readers are challenged to bring new life to the story by joining the story writing to the author, interviewing an adventurer, etc. By applying their knowledge of the story in these ways, they have opportunities to develop an advanced level of comprehension and demonstrate higher order thinking skills.